Our machines process 1095890 Leibniz PiCK UP! bars. Daily. This results in an annual quantity of 400 million bars at Bahlsen. From ordering to delivery of newly developed machines and lines we require an average of only 176 days. In less than six minutes we can achieve a bundle size change from four up to ten products for our emkon. MULTIPACK. At emkon., speed and precision go hand in hand. The fastest machine is useless if the quality of its products will suffer! 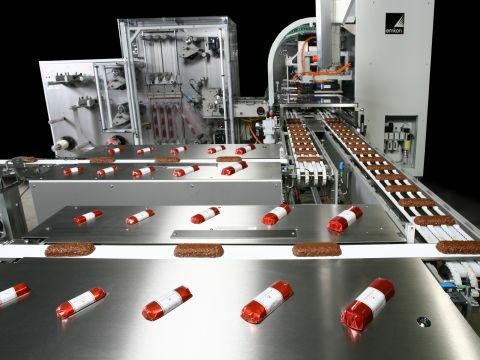 No matter if seals, perforations, closure techniques or product handling we increase your productivity and quality. Promised! For years we have developed innovative solutions for the most urgent problems of our customers. Solutions that work reliably! We set absolute confidence in the functionality of our equipment. Reliability is at the center of our endeavors. Guaranteed. Each day once more. A product line change? Higher grammage? With pleasure! Our solutions minimize investment and increase productivity. We can offer you a completely new flexibility in production, even if external conditions change. You can take our word. Innovations at a record pace. On average we need 176 days to deliver our machines. We will provide you with support and assist in optimizing the production process even further. 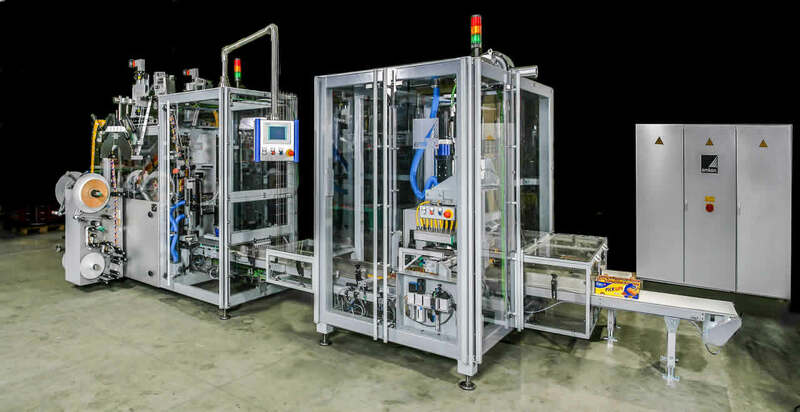 Each single machine project has its own individual priorities and demands on efficiency and productivity. Let yourself be inspired by our sample projects and put your trust in our technologies. A size range from 35g up to 200g. 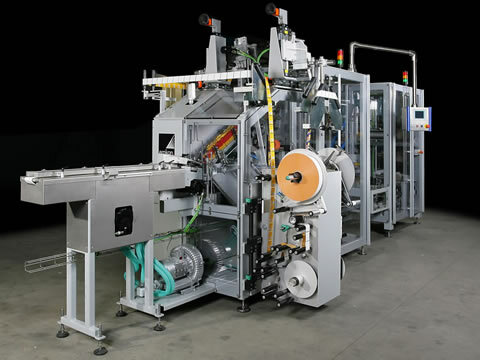 High Output, gentle product handling and an improved twin foil wrapping. Concerning their premium product ‘Lübecker Marzipan’ Niederegger impose very high requirements on the emkon. SMARTFOLD. We accomplished these. More popular than ever: Individual bundled products which are separated individually by perforated label which is precisely applied. The manufacturer is able to save packaging material and the customer would appreciate the comfort. “More attention for coffee packaging at the POS”. For the implementation of this customer requirement we developed and constructed a fundamentally new banderole solution. Salt crackers and butter biscuits impinge on chocolate bars. This requires a precise cracker/ biscuit handling offer. A thousand times per minute. Our development ensures reliable placement. which will continue to give me a cost benefit tomorrow." find a quick and customized solution for my problem." the market. We ensure that this is technically possible. Shortest time to market – that is our expertise. " Direct tailored solutions to your individual needs. Greater speed, increased productivity, reduced fuel consumption. Therefore our machines are known. With our current solutions you can also achieve cost benefits tomorrow. Priority is improving your product quality. After all that is what counts. Not being afraid of new things and thinking different. For us this has been a prosperous combination for years. We will provide you with support – whenever you need us. Even far beyond the completion of the project. Trained electrician, technician, worldwide experience in assembly and sales in various industries – Jens Hilgers experience and qualifications are diverse. Since 2012 he provides our customers with solid and down to the earth advice and practical help. Challenges? No problem. Whether long-haul or sprint as a passionate cyclist he would not run that quickly out of breath! 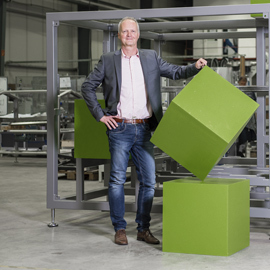 Whether as a technician in the R&D or as project manager on the side of renowned international companies, Ralf Köster can look back on a lot of experience especially in the food sector. Since June 2017, the customers of emkon. benefit from his expertise. How he maintains a steady overview even in case of complex demands? Well, if necessary with one of his drones which he constantly optimizes by using a 3D printer in his spare time. The sun rises – dynamic and full of energy Nele Helmke spreads fresh air into the emkon. FOOD Team. After she successfully completed her apprenticeship as an industrial clerk at emkon. she makes herself indispensable as a sales assistant and good soul. “When the machine is fully assembled at the customer and runs 100% smoothly, it reveals every time again an absolute feeling of happiness.” Maik Becker, engineer for technical computer science, expertise in Automation Technology, is as salesman since 2004 the open ear for our customers. 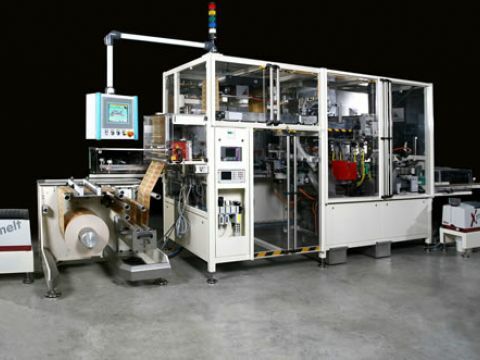 He is the one who recognizes customer needs, understands and ensures that from fiction a real packaging machine will be created. N: 52° 56' 47.382'' E: 9° 18' 47.948"
Enough about emkon. 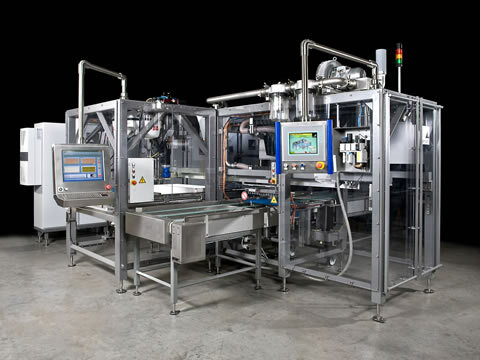 and our packaging machines! Tell us about who you are and how we can support you with our help.